We may see an ad-supported version of Microsoft Office after all. Yesterday, at the Morgan Stanley Technology Conference in San Francisco, Microsoft Business Division president Stephen Elop said Microsoft would release an ad-supported version of Microsoft Office 14 -- Office 14 is expected to hit stores in 2010. Elop said the purpose behind releasing a free version of Microsoft Office with ads displayed alongside the workspace was to draw "pirate customers into the revenue stream." 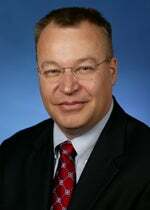 "We want to draw them into the Windows family," Elop said, according to Silicon Valley Insider. "And maybe there's an up sell opportunity later." The idea of an ad-supported version of Microsoft Office is nothing new, and is one concept that has been considered alongside Albany -- the code name for a subscription-based model of Microsoft Office. What Elsop didn't mention was what an ad-supported version of Office would look like, but it's safe to suspect it would be a stripped-down version of the complete software suite. Offering an ad-supported version makes sense from Microsoft's point of view, since the company brings in more dollars Office than it does from the Windows OS. Note that Elsop called people using pirated versions of Office "pirate customers." Clearly, Microsoft hopes they have an opportunity to convert these sinners into saints. Conversion of the masses is an important stumbling block for Microsoft, because, as David Worthington points out on Technologizer, the company loses more money from pirated software than it does from "free competitors" like Google Docs and Open Office. A free version of Office would also seem to be a surrender that Microsoft's software authentication program, Office Genuine Advantage, is not working as well as they'd hoped. However, I'm not so sure that Microsoft knows how to do "free," as well as it competitors, and that's a problem. Take a look at Office Live, which, since you can't edit documents online, is just a way to view and share files. That's Microsoft's idea of free: nothing for nothing or at least very little for nothing. To be fair, that's the standard business concept for any industry, and Microsoft makes a lot of money by selling an excellent office suite for cold hard cash. However, both Google Docs and Open Office do give you a lot for nothing, and they don't incorporate ads into their products. So what incentive do you have to use a free version of Office that incorporates ads? The only possibility that I can see is for Microsoft to offer a product that is more powerful and feature rich than either Google Docs or Open Office. But that's no small feat since both programs can do most things that most people need them to do. Microsoft would also have to walk a fine line between an attractive, feature rich ad-supported version and a product that wouldn't pull customers away from the paid version. The irony is that Microsoft, along with Yahoo, can be credited for helping to start the whole free concept with Hotmail in the late 1990s. When AOL and others were charging for the service, Microsoft introduced free e-mail and Hotmail quickly grew in popularity because of it. Google and others simply took the free e-mail concept and applied it to, well, everything and users have flocked to Google ever since. So if Microsoft wants the free version of Office to catch on, they may have to literally take a page out of Jeff Jarvis' new book and ask, What Would Google Do?